We love technology at KPS! 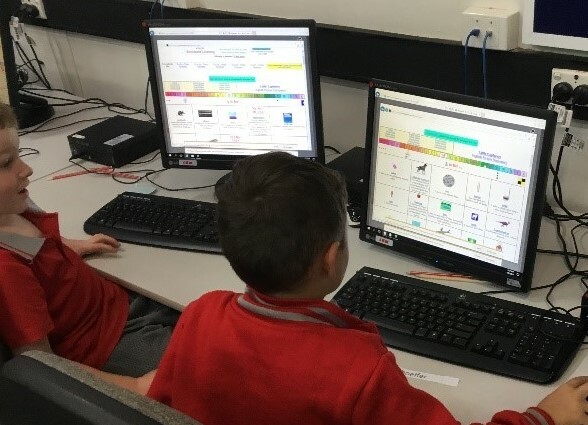 Digital technology is embedded throughout all learning areas and classrooms at Kalgoorlie Primary School. iPads are utilised from Kindy to year six to support students with their learning. The school boasts an up to date, fully equipped Tech Lounge with desktop computers, laptop computers and iPads. 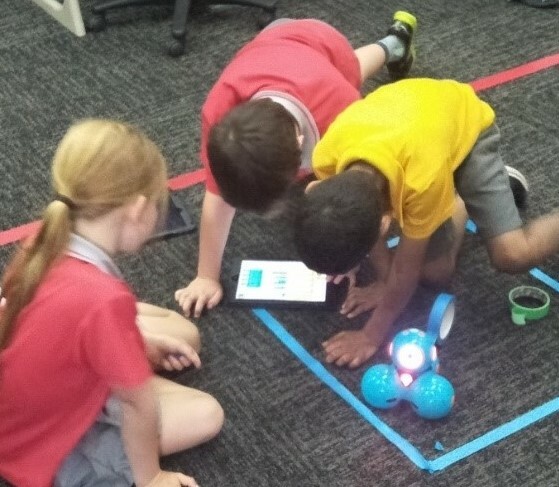 Students are exposed to a wide range of technological tools including Bee-Bots, Pro-Bots, Sphero robotic balls, Dash and Dot robots, MakeyMakeys and 3D printing. We also have our very own Nao robot, named Turbo. Turbo is a small humanoid robot designed to interact with people. VR goggles are utilised regularly to take students on virtual fieldtrips around the world. Students from year one to year six attend 90 minute lessons in the Tech Lounge with Mrs Smart. Pre-primary students visit the Tech Lounge every Wednesday. 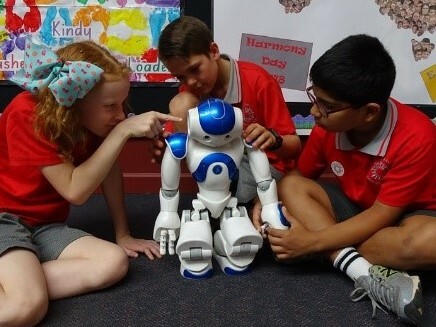 These learning experiences are based on the Digital Technologies Australian Curriculum. Students explore digital systems, represent data, create digital solutions, while working collaboratively and responsibly to communicate ideas. They develop knowledge and understanding of the components of digital systems: hardware, software and networks and their use. Students learn about how data are represented, collected and interpreted. 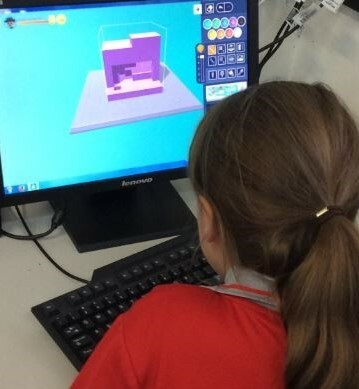 Computational thinking is an important component of Digital Technologies lessons, so students learn the basics of computer coding to create solutions to problems. We focus heavily on digital citizenship, as we feel it is vital for students to learn how to use technology appropriately, along with behaving responsibly and safely online.